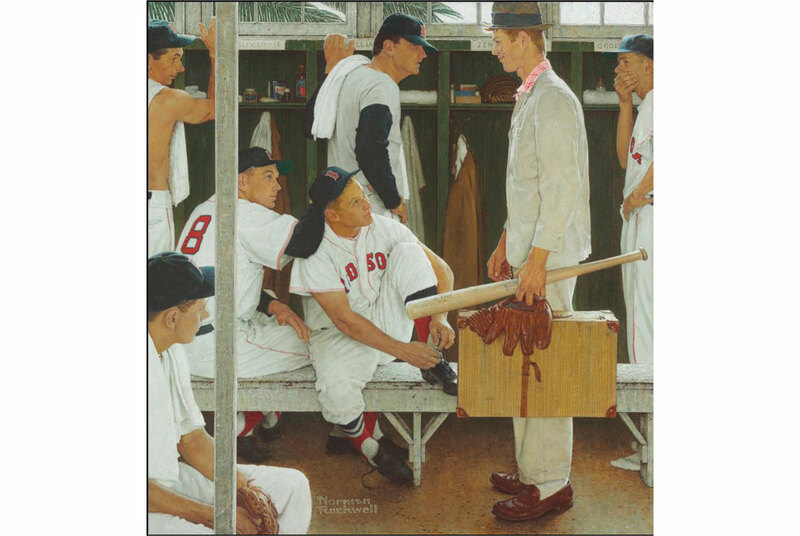 Christie’s announced that Norman Rockwell’s iconic painting The Rookie (Red Sox Locker Room) will be included in the May 22nd sale of American Art. The work, which has never been offered at auction, was painted in 1957 for the March 2nd cover of The Saturday Evening Post and has remained in the same private collection for nearly thirty years. It has been publicly exhibited at the Museum of Fine Arts, Boston twice–once in 2005 and again in 2008–following World Series victories by the Red Sox. Estimated at $20-30 million, The Rookie (Red Sox Locker Room) marks the highest estimate ever for Norman Rockwell at auction. View our Norman Rockwell collection here at (GallArt.com).